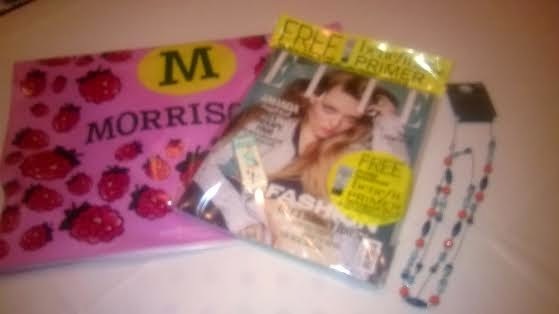 Last week I was one of the lucky BritMums bloggers chosen to receive £80 Morrisons vouchers for a bank holiday shopping (and social media) spree; not my usual supermarket as it's a bit of a drive from home. But as you know, dear readers, I am prepared to travel to shop. 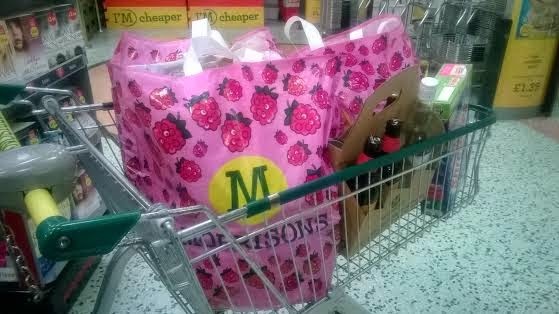 We normally weekly-shop sporadically, buying enough for a few meals and then whatever takes our fancy. 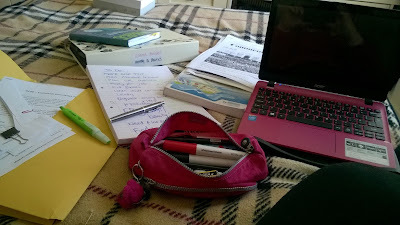 At the end of a busy week we have little time for thinking about meals too far in advance; the sofa calls us both. So we took advantage of a quiet Friday night and hit the (teeny) aisles with inspiration from their online Recipes and Ranges section, while Grandparents looked after toddler-daughter. 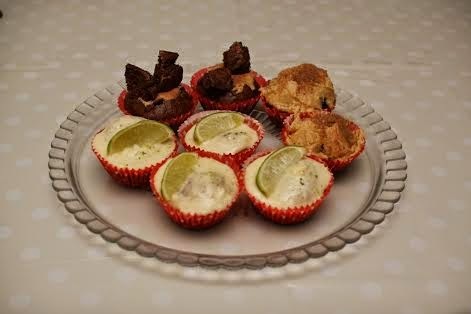 I tweeted a few thoughts about mojitos, steak and cake and was pretty flexible about what other goodies went in the trolley, as long as they offered value for money. 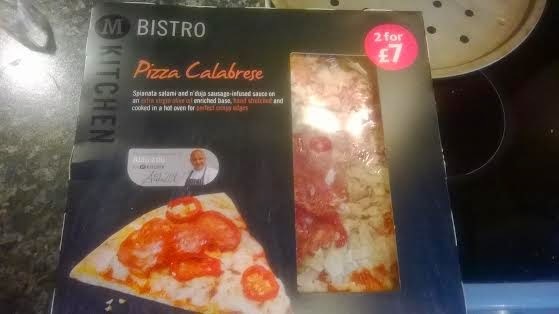 We bought enough Morrisons fresh produce and goodies for a luxurious long weekend (think brunches, posh dinners and a relaxing beverage) and a bit more, starting with gorgeous M Bistro Pizza Calabrese, babyleaf and rocket salad and Size15Stylist's special spicy spuds (recipe at the bottom of the post). 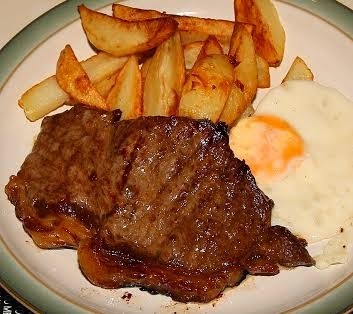 Mr S15S was very pleased with the 1.5 kg baking potatoes for 69p, the eggs and the thin cut sirloin steaks, at £3.22 each. The steak was beautiful and we'll definitely be returning to Morrisons at those cheaper prices. 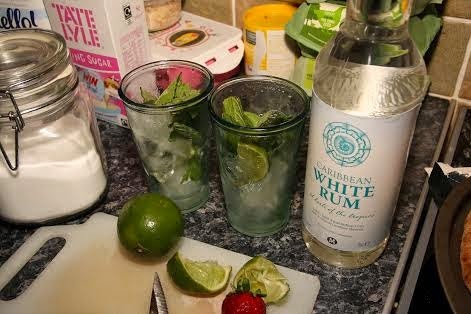 The weekend's mojitos (my recipe at bottom of post), inspired by the Strawberry Mojito Morrisons recipe went down a storm (and finally gave us a use for the mint in the garden). 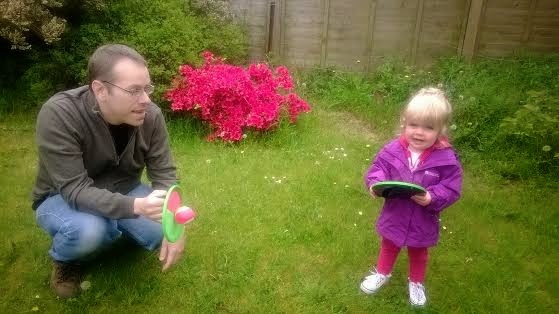 The fresh limes (25p each) and strawberries (99p a punet) were excellent value (and future shopping list staples). 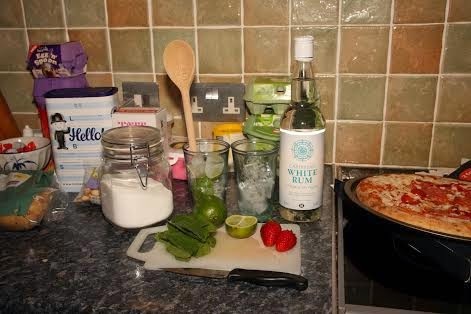 The Morrisons white rum was a almost half the price (£9.99) of the leading rum brand (£17.99) so we definitely had room for cake ingredients. At £4 for a 70cl bottle it would have been rude not to. We also picked up some stir fry beef, for the gingered steak and pepper recipe I mentioned in an earlier post, which I found online in the Morrisons Magazine. 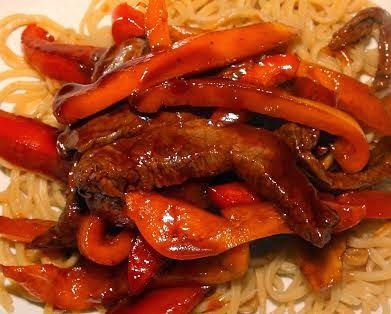 Ridiculously easy to put together (Fry ginger in a little oil, add steak for five minutes, then add peppers. Cook dried egg noodles, or treat yourself to some fresh produce) and only cost around £2.50 a portion; yes, including the steak..
With the money we saved we also had room for a few treats - a velcro catch set for MrS15S and Toddler-Daughter, which at only £2 is cheaper than some shops on the high street and better quality than some other shops. Would you'd like some recipes? Tip ice into glass, squeeze lime juice over ice and add few quarters of lime (tidy bits; style counts). 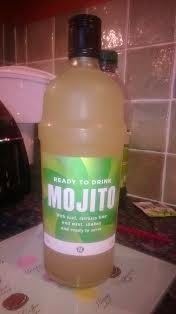 Add any remaining tidy lime slices and straw for supping. Oven. Although I've never tried the microwave. 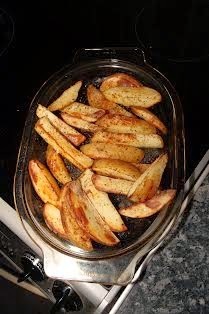 PS - if you're really in a hurry for wedges, you could part-boil spuds for 10 minutes, then bake for 15-20 mins, BUT make sure you release all steam from spuds and they are as dry as you can get. 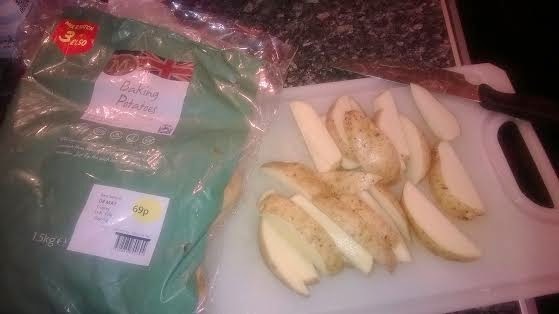 However, I find it much easier to just accept they take 35-40 minutes instead of faffing with a part-boil. And how were your Bank Holiday shopping and eating experiences? I like this article, you did deserve what u got of morrison, this should be posted to their magazine . Thanks for the pin point details.It's gonna be very helpful for me. The everest double glazing is the supreme quality product and its price reflects its quality. But for getting the most fair actual everest double glazing prices, agent is a right option.